The population of older adults is growing at an unprecedented pace here on Bainbridge Island. Approximately 1/4 of the people living on Bainbridge Island are 65 or older. Recognizing this, it was decided that the next five years are crucial for the development of the Senior Center at Waterfront Park. The Board of Directors therefore embarked on a strategic planning effort to address current and emerging needs and to build organizational capacity to support and sustain the Center’s growth and success. Based on the input from a series of five community listening sessions, the plan was completed and approved by the Board at its annual meeting on January 8, 2019. 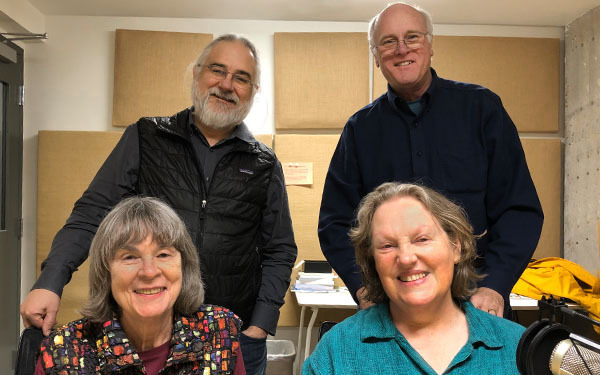 In this podcast Reed Price, Executive Director of the Senior Center; Nancy Lewars, a long time board member; Ann Lovejoy, a new board member; and guest host John McKenzie, a volunteer and supporter of the strategic planning effort, talk about why a 5 year strategic plan is necessary for the Senior Center, how it was created, what has already been accomplished as a result of the plan, and what is expected from it in the future. For more about the Senior Center, its many and varied program offerings, and the new strategic plan, visit https://biseniorcenter.org/. Credits: BCB guest host: John McKenzie; audio editor and publisher: Diane Walker; social media: Jen St. Louis.